Following on the success of its 575 model, this new mid-range cruiser from Hanse is set to appeal to aspiring bluewater cruisers. Although the Judel/Vrolijk design team created her as a fast cruiser, at 14 tons dry weight the 505 is no lightweight flyer. 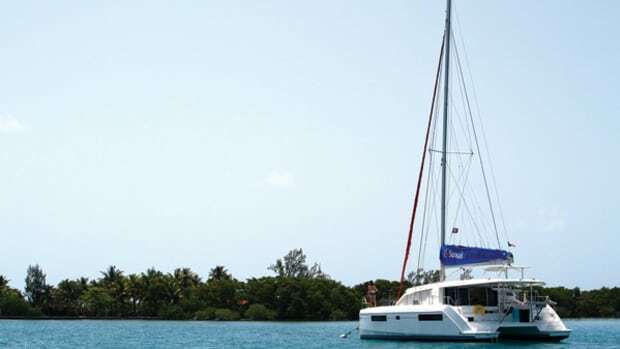 Instead she relies on a powerful rig, a long waterline and a sleek underbody to ensure fast passage times and exciting sailing. The 505’s hull is laid up by hand with a balsa core above the waterline to reduce weight and insulate the interior. 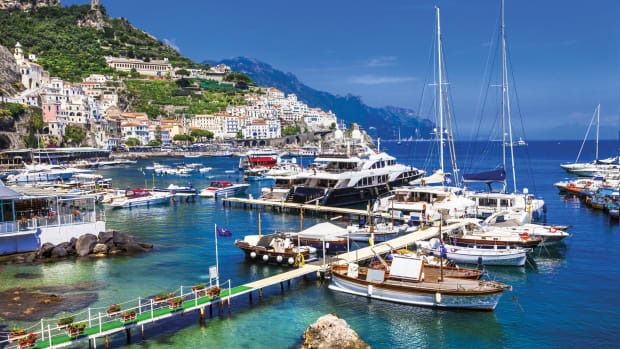 Bulkheads are bonded to the hull sides and deck for increased stiffness and—as with the entire Hanse line—epoxy-based vinylester resins are included in the outer hull laminate for osmosis resistance.  The boat’s deep T-keel keeps the ballast low and gives her a good, healthy righting moment. A high-aspect balanced spade rudder extends down almost to the keel foot for maximum bite in the water. A slightly shallower shoal-draft keel is also available. The 505 sports a sleek, low-profile coachroof, and its decks are clear of obstructions. This helps eliminate line snags and allows you to wander about barefoot without risk of tripping or stubbing a toe. There are dedicated lounging areas and a grand total of 19 flush hatches and portlights. An important part of the design brief was to make it possible to sail the 505 singlehanded, so all control lines turn abruptly at mast-step blocks into deck channels and emerge at a bank of clutches in front of Lewmar 55 electric primary winches on the cockpit coaming beside the helms. These include the sheet for the self-tacking jib. Although sails can be trimmed at the wheel, an amount of jiggerypokey is required with the rope clutches under certain circumstances. 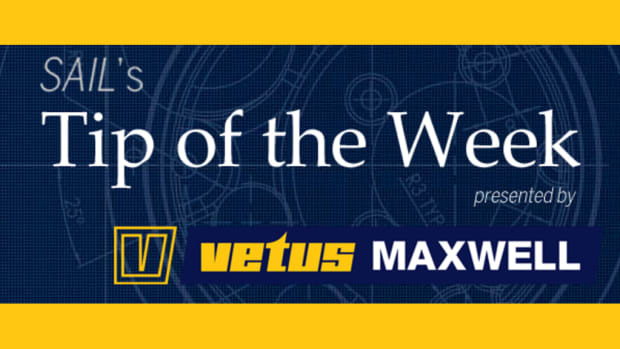 If the loaded mainsheet is on the portside winch, for example, you need to clutch it and take it off the winch before you can tighten the vang. On the plus side, all lines fall easily to hand from behind the wheels. Although our boat had in-mast furling, the standard wardrobe includes a fully battened mainsail and self-tacking jib. Options include lazyjacks with a sail bag. 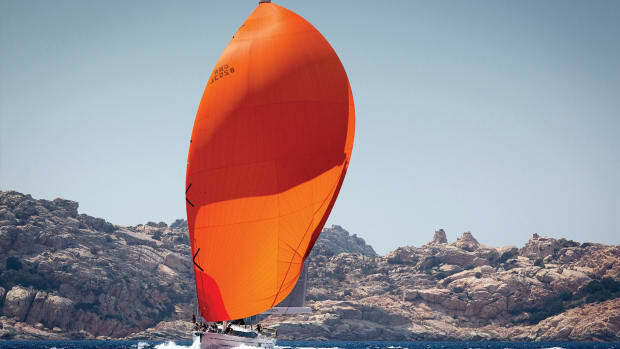 The standard Dacron cruising sails, if desired, can be upgraded to high-performance FCL sails from Elvström. A second pair of 55AST winches further forward on the coaming can be used to control the boat’s optional downwind sails. Regrettably, these can’t be used to back up or augment the primaries, as they are forward of the line clutches. Also, the furling line jammer on the port sidedeck is about 9ft away from the helm. Beyond that, the cockpit layout works well, and the table is sturdy enough to use as a footrest or grab rail underway. 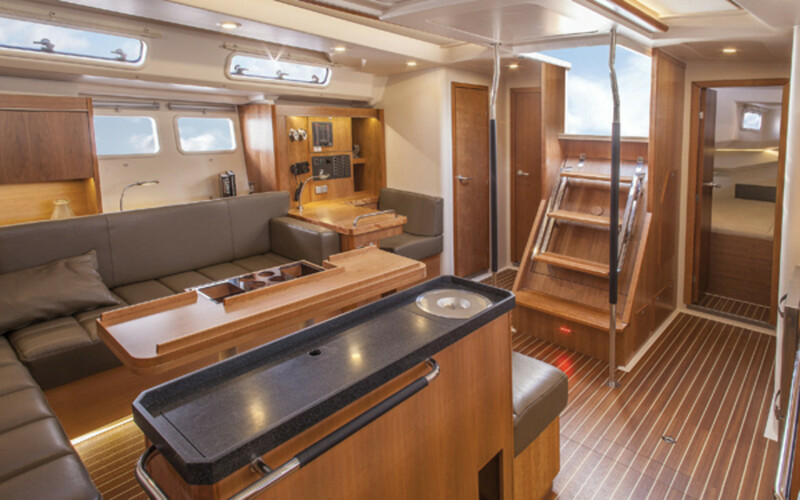 Although there are two shallow seat lockers, plus a large lazarette and liferaft locker aft, most deck gear will be stowed in the cavernous sail locker forward. The 505’s fold-down transom platform, when upright, has neat fold-out helm seats and is easy to access through the twin helm and between split backstays. As is usual for a modern bluewater cruiser, there are several available accommodation layouts. Selecting one is simplified by Hanse’s “individual cabin concept,” which breaks the interior into four distinct sections, each with a number of discrete options. Forward, for example, there’s a choice between an owner’s suite or two double cabins. You can also specify either a crew cabin, a large head/shower or a utility room/workshop just aft of the saloon, while a deck-accessed crew cabin can replace the forepeak sail locker. All variations feature separate toilet and shower compartments forward of the saloon and a single head/shower behind the chart table. 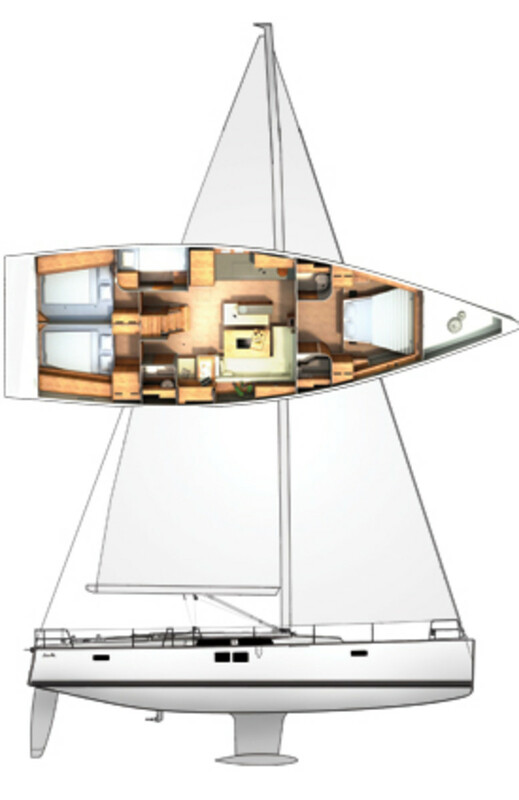 The saloon itself is spacious and—thanks to myriad hatches and opening ports—exceptionally light and airy. There is seating for up to eight around the saloon table. The banquette provides extra seating and extra stowage (a bottle locker and an ice-bin), and is a sturdy backrest for the cook, making the in-line galley more workable at sea. The galley includes a sizeable drawer-style fridge with options for a freezer, microwave, coffee-maker and wine cooler. If you opt for a utility cabin, options there include a larger fridge/freezer and a dishwasher or a washing machine. Hanse probably offers more interior choices than any other production yacht builder. Its brochure contains some 30 upholstery options and three different wood choices. The 505’s forward-facing nav station has a large chart table with bags of space for instruments alongside and good stowage for pilot books and charts. There is a comprehensive distribution panel with tank gauges and meters as well as a touch-screen panel for the adjusting interior LED lighting. Going below while underway, I appreciated the shallow companionway steps and noticed there was always a good handhold within reach as I worked my way forward. We sailed the 505 in a strong nor’easterly, with frequent gusts of cold, heavy air to keep us on our toes. Under full sail we soon cleared the coast into deeper water, where the true wind increased into the low 20-knot range. We were pushing hard, but the 505 took it in stride and powered on through the building chop. Speed was impressive for a production cruising yacht, with the log reading 9.4 knots on a close reach, increasing to 10.2 knots with 27 knots of wind on the beam. In gusts the 505 heeled to her toerail, but kept driving forward and only threatened to round up when we failed to ease the mainsheet in time. Thanks to her very deep rudder it takes a lot to shift this boat off course. 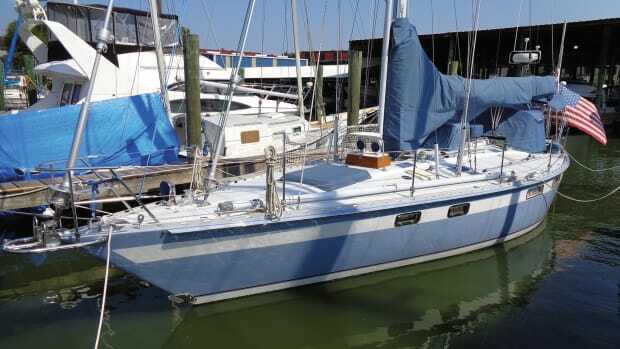 We rolled away a few feet of mainsail, and this brought her onto a more even keel, but did nothing for sail shape—despite the application of plenty of vang and backstay tension. A traveler would have helped. Of course, with a full-battened main we could have flattened the sail and stood up to the strong gusts better. Nevertheless, she performed admirably and was extremely stiff. The wizards at Judel/Vrolijk have also managed to impart a superb motion into this powerful hull, and she has the feel of a much larger yacht. The Jefa steering felt slightly heavy in the strongest gusts, but was otherwise very precise with good feedback. Off the wind things calmed down, and we sedately slipped along at 9 knots and more with the wind on our quarter. 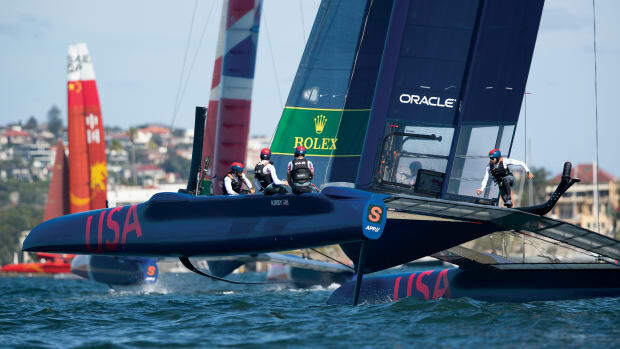 The boat’s deep appendages keep her sailing on track, but steer too far downwind and the large main covers the jib. Beyond 155 degrees you’ll need to hoist a cruising chute or gennaker to keep from gybing back and forth across your course. 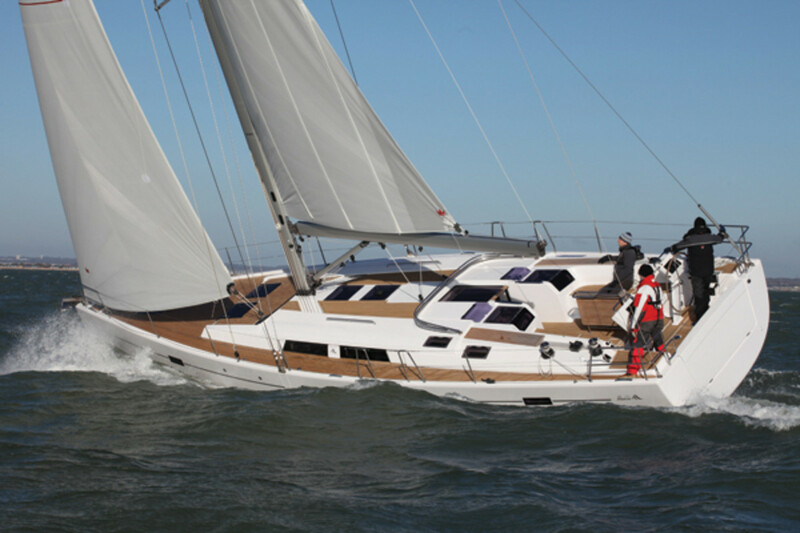 The Hanse 505 comes standard with a powerful 72hp Volvo diesel driving a fixed propeller on a Volvo saildrive. An optional Flexofold folding prop will appeal to those wanting to squeeze out every fraction of a knot under sail. Our demo boat purred along quietly and economically making 7 knots at 1,500 rpm, 8.6 knots at 2,000 rpm and 9.7 knots nearly flat out at 2,500 rpm. 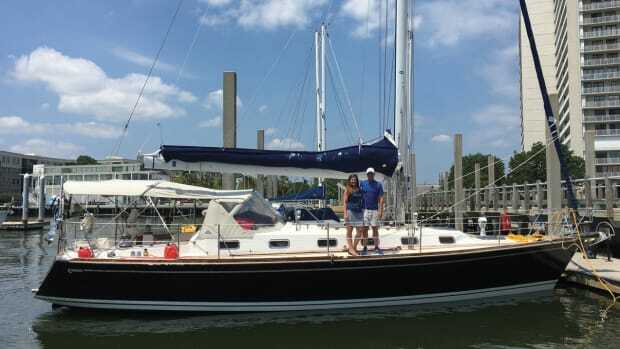 She turned in her own length, even without the bow thruster, and her deep rudder gave a quick response going astern.